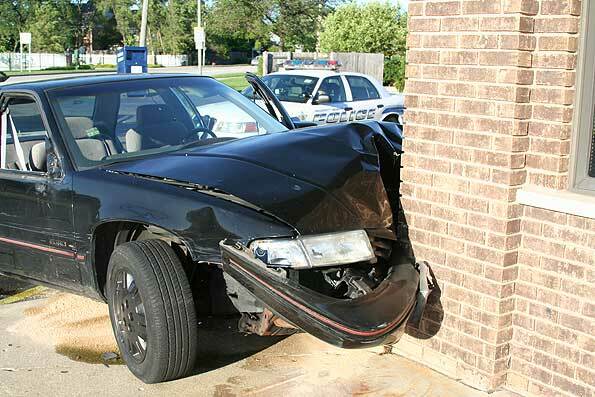 A Chevy, after impact with the wall on the opposite side of the Drive-up Service at Nikko’s restaurant. Interviews at the crash scene at Nikko’s restaurant at Thomas Avenue and Rand Road. 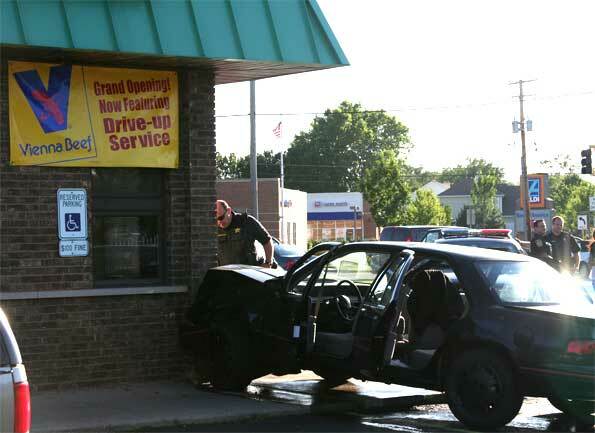 Arlington Heights police officers and Prospect Heights police officers responded to a call for a car crashed into a wall at Nikko’s Restaurant at the southeast corner of Rand and Willow/Thomas about 6:45 p.m. Sunday. One female had a slightly injured knee that was scraped up on the dashboard of the wrecked Chevy sedan. A witness said the driver was chased by another man with a gun when he lost control of the car and crashed into the northwest corner of the all-brick building. The male Hispanic driver of the wrecked car was taken to Prospect Heights Police Department for questioning and to sort out the details of the threat. 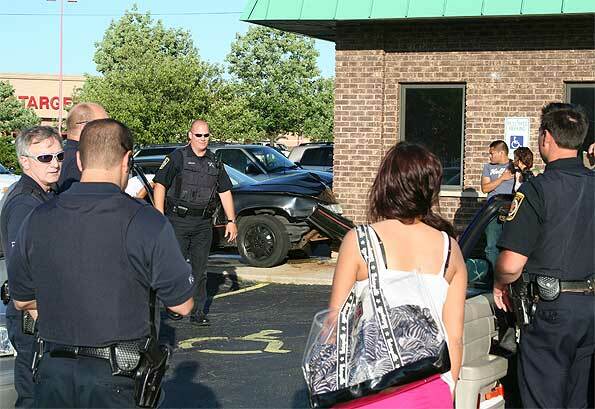 The Nikko’s restaurant location is Prospect Heights jurisdiction, so Arlington Heights officers assisted Prospect Heights officers with interviews of witnesses. 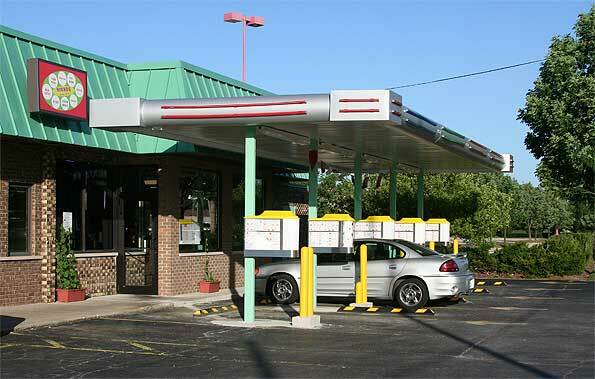 Nikko’s just opened a Drive-up service earlier this Spring on the south side of the building. Chevy totalled with oil dripping from the engine. All is well on the approved Drive-up side of Nikko’s restaurant. Gyros, Bulkogi Plates, Pizza, Burgers, Vienna Hot Dogs and more … uninterrupted.